Afternoon tea is one of Britain’s greatest pleasures – us brits go positively crazy for this elegant tradition. We’ve compiled a list of some of the most scrumptious and stylish afternoon tea experiences on offer. Peruse our list for inspiration as to where to go for mothers’ day, special family occasions or perhaps purely for some decadent scone sampling! Oh and, just for the record, all of these rather special establishments have invested in top quality Afternoon Tea ware from Heritage Collection – so they must be good! 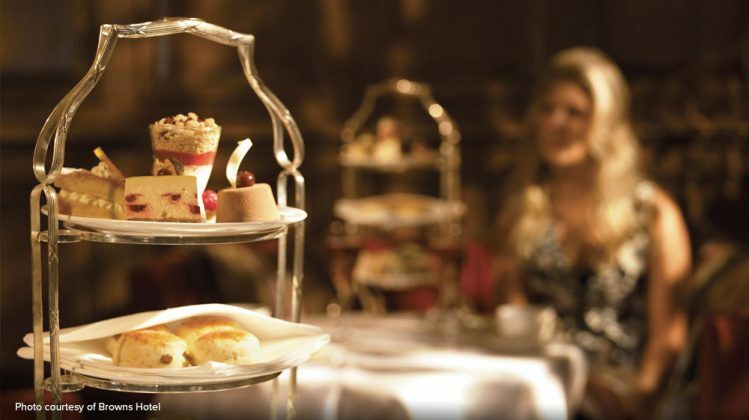 Tea at the Ritz remains the ultimate afternoon indulgence. Served on the finest Heritage tableware against the glamorous backdrop of the Palm Court, with its birdcage chandeliers, gilded ceiling and stone fountain, this luxurious tea includes the requisite finger sandwiches with smoked salmon, roast ham et al, alongside fresh raisin scones and cakes on a tiered cake stand. 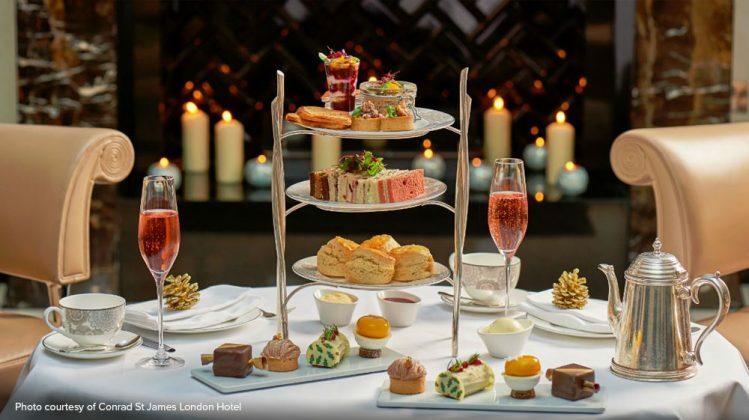 Situated right alongside the beautiful Cambridge University Botanic Gardens, the Tamburlaine afternoon tea is a traditional and luxurious option. 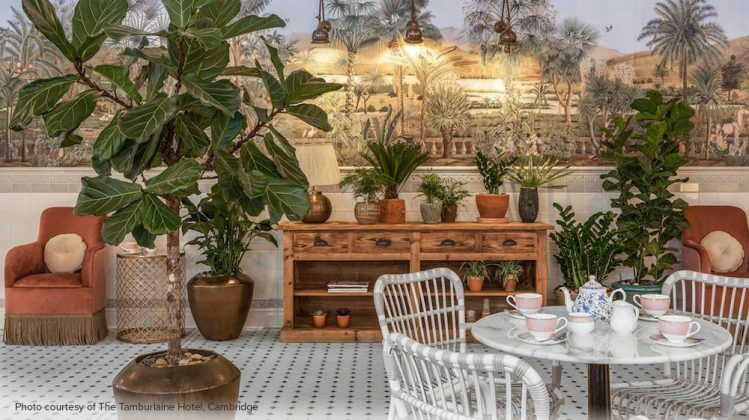 Relax amid the genteel grandeur of the Garden room as you sip your tea from the finest bone china. 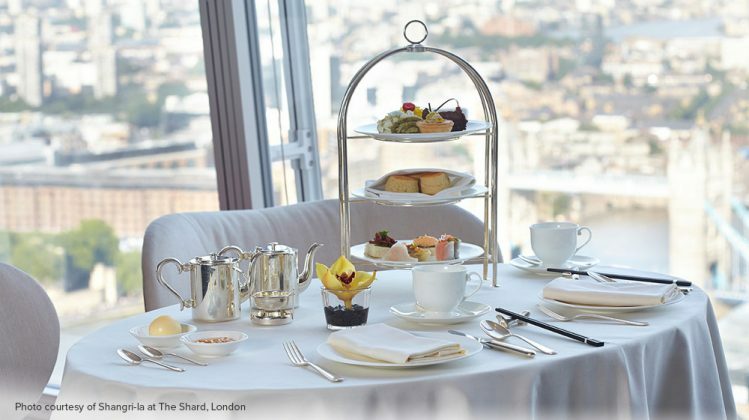 Afternoon Tea is taken to new heights on level 52 of Shangri-La Hotel, At the Shard, London. Sip tea and eat scones with unsurpassed views. Served in theatrical elegance, afternoon tea is taken to a new level complemented by an exclusive selection of over 30 teas. For an indulgent but guilt-free afternoon tea, why not try Tea Tox at Browns hotel. This fresh afternoon tea option is full of yummy but healthy delights, from poached salmon and dill crème fraiche on dark rye bread to sugar-free blueberries and lemon cream in a chocolate cup – all served with a choice of teas or, for an extra treat, low-calorie, extra-brut champagne. Traditional afternoon tea is also available.. 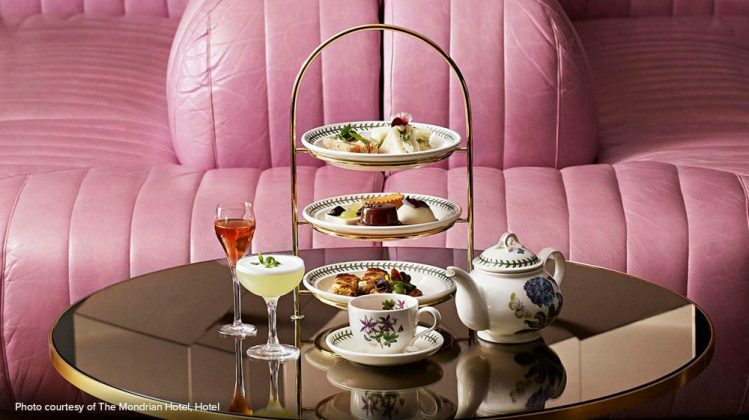 The Mondrian hotel offers a unique afternoon tea with a botanical twist. Wyld Tea offers a 1970s-inspired food menu and specially paired botanical cocktails from Ryan ‘Mr. Lyan’ Chetiyawardana. The Wyld Tea menu comprises of 4 courses and features playful takes on finger sandwiches, savoury bites and retro cakes. 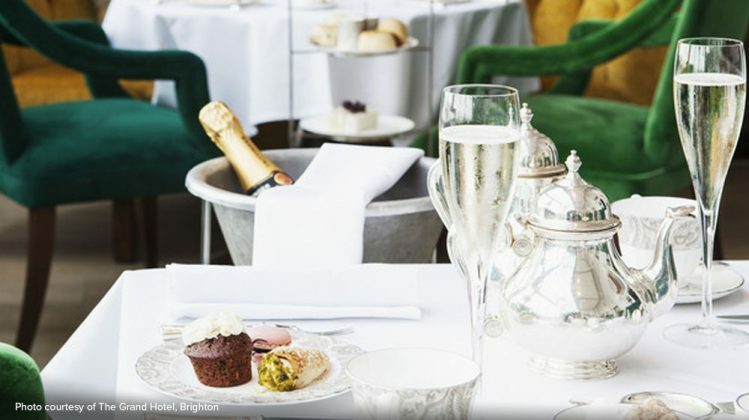 A tempting choice after a relaxed stroll along the Brighton sea front, the Grand hotel’s afternoon tea was listed by The Independent in 2015 as “one of the top 14 Afternoon Teas in the UK”. The Grand Afternoon Tea is a not only a celebration of tea and scones, but of the glorious traditions that form part of this famous ritual. 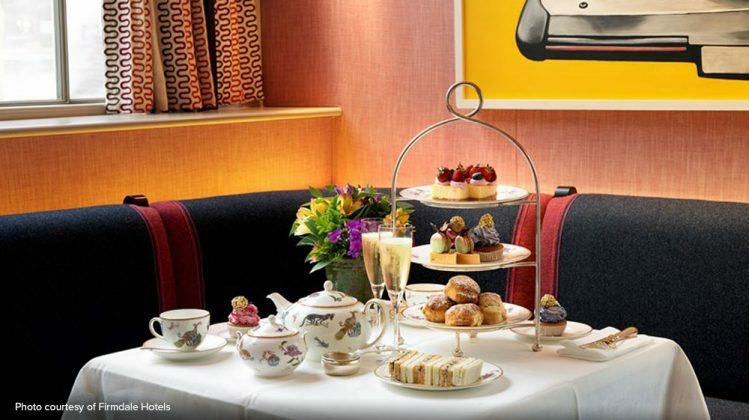 Emmeline’s Lounge at Conrad St James hotel in London offers a chic yet relaxed setting to enjoy a quintessential British afternoon tea. Surrounded by quirk sculptures and floral creations guest can enjoy a selection of seasonal treats prepared by the executive pastry chef, joined by an inspired collection of teas. Served daily, a tea sommelier is on hand to personalise the experience and ensure the perfect pairing. Firmdale Hotels offer stylish places to have Afternoon Tea in London and New York. We’ve picked the Haymarket hotel in Piccadiliy for this list. 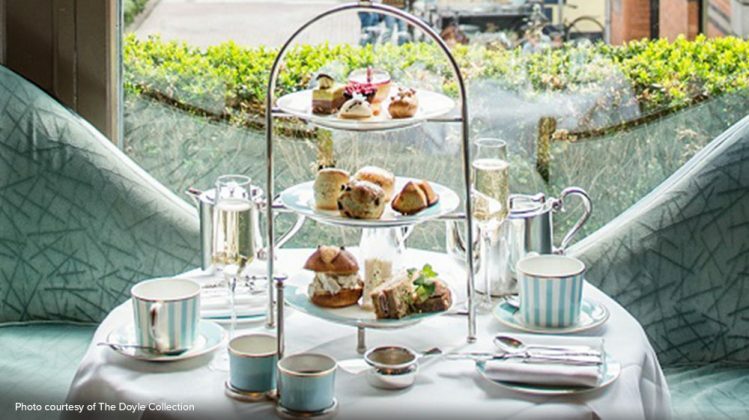 Situated in the heart of London’s theatre district, Afternoon Tea is served in the chic Brumus Bar and Restaurant where you can enjoy a selection of classic Afternoon Tea sandwiches, an array of delicious cakes, along with freshly baked scones with clotted cream and preserves. You also have the option to indulge in a glass of Champagne. 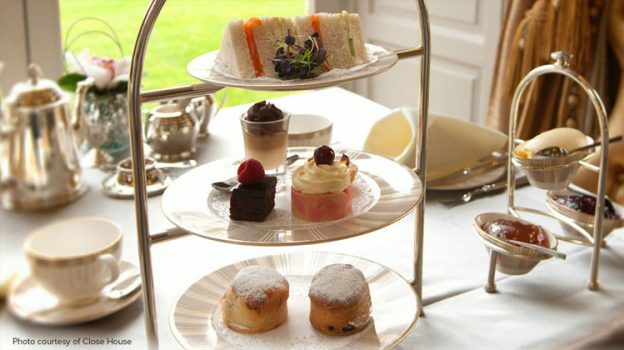 Afternoon tea at any of the Doyle Collection of hotels is sure to be a hit. 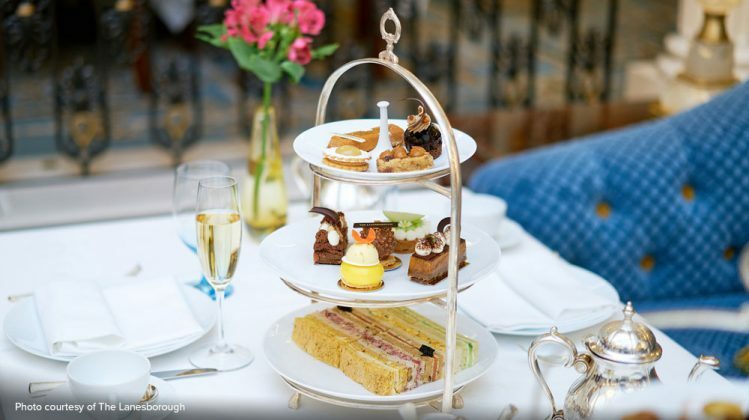 The Bloomsbury in London offers a quintessentially English afternoon tea, served on the popular Dalloway Terrace, a favourite destination for shoppers at Covent Garden’s stylish boutiques and visitors to The British Museum. The ‘Honey Bee Afternoon Tea’ menu takes inspiration from the humble bee and their value to the environment. 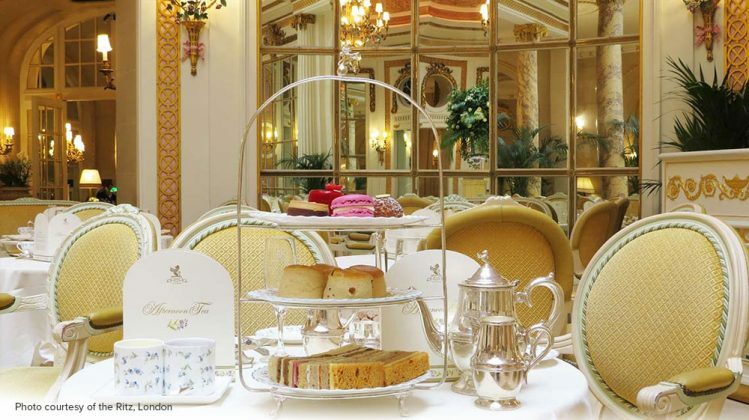 Synonymous with luxury and grandeur, The Dorchester hotel on Park Lane offers an opulent afternoon tea. 25 different tea blends are showcased, alongside an impeccable range of sweet and savoury treats. As well as cakes from the in-house bakery, you can enjoy the signature Dorchester scones- made to a recipe unchanged for 50 years. 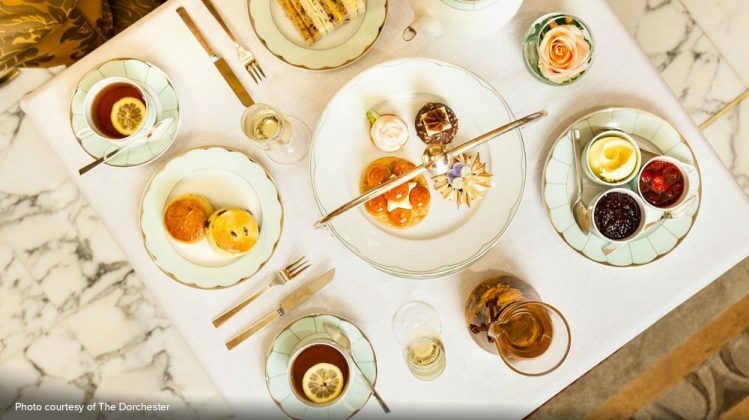 One of the most highly-acclaimed afternoon teas in London, The Lanesborough is a multiple-time winner of the UK Tea Council’s Award of Excellence. Served daily in either the majestic surroundings of Céleste or the elegant Withdrawing Room, enjoy a glass of the finest champagne with exquisite French pastries, and sumptuous scones with homemade jam and clotted cream. If you want the very best afternoon tea tableware that money can buy, look no further than Heritage Collection. We can work with you to create an aspirational afternoon tea experience that is second to none, supplying tea stands, china, silverware and even bespoke items. To find our more call 0121 773 0724 or contact us here.